In this past presidential election, many Americans and much of the world were shocked by the seemingly impossible result of Donald Trump’s victory. 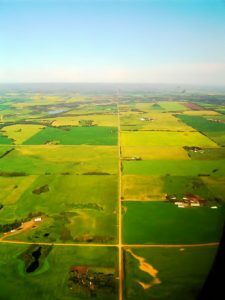 One of the major reasons that Mr. Trump was ultimately elected was his huge support among those who live in what have become known as “flyover states.” This term largely refers to the states in the geographic middle of America, which most people only see from airline windows when flying on transcontinental flights, and, rarely, if ever, actually go to as a destination. One thing that cannot be denied is that many in these areas are struggling economically, and according to a recent news article from the Washington Post, many are turning to disability benefits for help. Interestingly, this article is suggesting these people may be “just desperate” rather than disabled. Another interesting point is that the White House is using the increase in numbers on the Social Security disability roles due in large part from these residents of flyover states as justification for cutting the program. However, the White House is blaming the Obama administration and strongly implying the increased number of disabled Americans receiving benefits is a result of those in the inner cities of America instead of rural America.This first thing to understand, as our Boston Social Security disability attorneys can explain, is that it is very difficult to get disability benefits, even for people who are undeniably disabled. We say “undeniably” meaning it’s obvious to their doctor and often even a layperson that they cannot work. Yet in some of these cases are caught in the the U.S Social Security Administration (SSA)’s systematic denials. As for those profiled in this article, we see farmers and others living in rural America who once worked at factories that are now closed. They have relatives who have turned to applying for disability and many regularly go to so-called pain clinics. Many are too “proud” to collect disability benefits, as there is clearly a stigma associated with that in these areas of the country. However, as it becomes nearly impossible to find work, they are choosing to apply for disability benefits. This is where the question of disabled or just desperate comes into play. However, the reality is that this is not always a black-and-white issue. These people have been doing backbreaking work for years, as needed to qualify for disability benefits in the first place, and are actually disabled after all of this work. Many have crippling arthritis or spinal issues. While many associate carpal tunnel syndrome with working at computers, carpal tunnel syndrome is actually more common with repetitive tasks in factory and meat processing plants. This is the type of work that many of these new claimants once did before the economy changed, and they found themselves out of work. The point is that you simply cannot say you are disabled when you have no evidence to support that claim and expect to get benefits. Anyone who ultimately gets SSDI benefits must go above and beyond what it should take to get a full and appropriate benefits award.